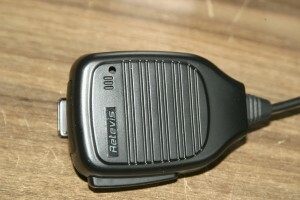 I use now a DMR Handheld radio. 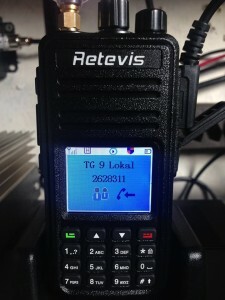 This is a low budget Retevis RT3 (same as MD380). For the money at about 130€, it’s a great radio! 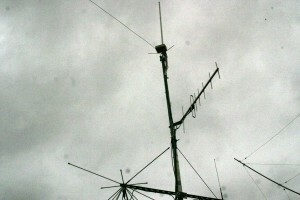 I use a military RG58 cable (only 6 m long) to the 6 element beam. 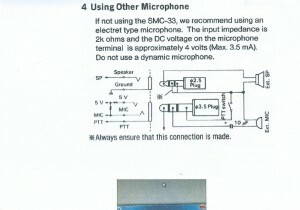 I crimp it directly to the SMA Jack. 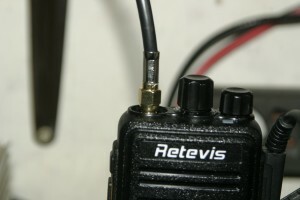 The Retevis Mike you can optimize with a little hole over the microphone capsule. Here you can see the pin out for a Retevis Mike. I have made my codeplugs with my own logic and order. I find it this way a lot of easier. See your self. In Abschnitt “Generel Settings” steht rechts “MYCALL” und “12345678”. Diese beiden Informationen durch Euer Rufzeichen und Euere DMR Call-ID ersetzen. Ich empfehle keine Fake Call-ID zu verwenden. In meinen Augen kommt das einen Rufzeichen Missbrauch gleich! In section “Generel Settings” to the right, you can see “MYCALL” and “12345678”. Replace these two information by your call sign and your DMR Call ID. I recommend to use no Fake Call-ID. In my eyes, that’s the same as a call sign abuse! The view from the other side. You can hear my modulation.